Four flights, 44 hours of flying, and one day trip to Ethiopian Airlines headquarters in Addis Ababa later, we've gathered quite a story about one of Africa's fastest-growing carriers. 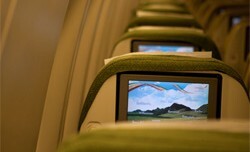 The Premium Economy Question: Is it Worth It? Several US airlines now offer customers a Premium Economy option with more legroom and amenities. Do passengers think it's a good value? And is it effective for the airlines' bottom line? Columnist Edward Russell investigates. 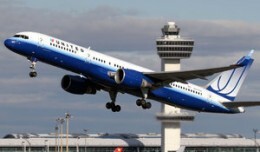 U.S. air passenger revenue rose 13 percent in February, marking the 14th consecutive month of revenue growth, according to a report by the Air Transport Association of America. Passenger and freight air traffic grew substantially in 2010 as positive economic prospects worldwide overshadowed the depressed levels of 2009 caused by the global financial crisis, according to United Nations report. Air France 447 investigators focus on computer failures in crash. Did Billy Mays die as a result of a hard landing at Tampa? Airlines having difficult securing financing for new planes.